Simplicity in make-up will be the big trend of the year, which will require a healthy and glowing skin. Skincare regimens tailored to your own needs will take a step forward, taking into account skin color, age, lifestyle, etc. It will be all about customization, and addressing the personal needs of every skin. Skin-healing will be how we look on skin. If it has problems, they can be cured. Not just covered. 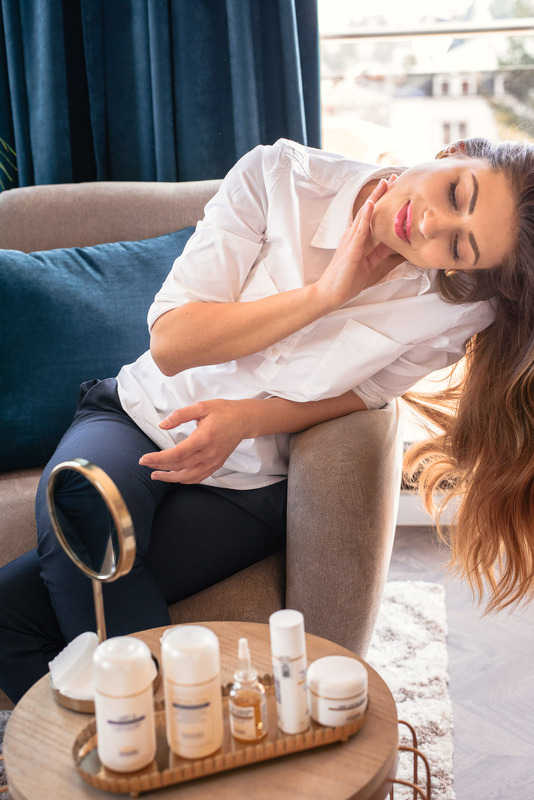 Pollution will continue to be an issue, and skincare products will be fighting it by building a better skin barrier via the microbiome. Using fewer but harder-working items which contain higher concentrations of effective ingredients. Health and beauty will go hand in hand. 2019 will be about what you give your body, soul & skin to make you feel balanced and beautiful. 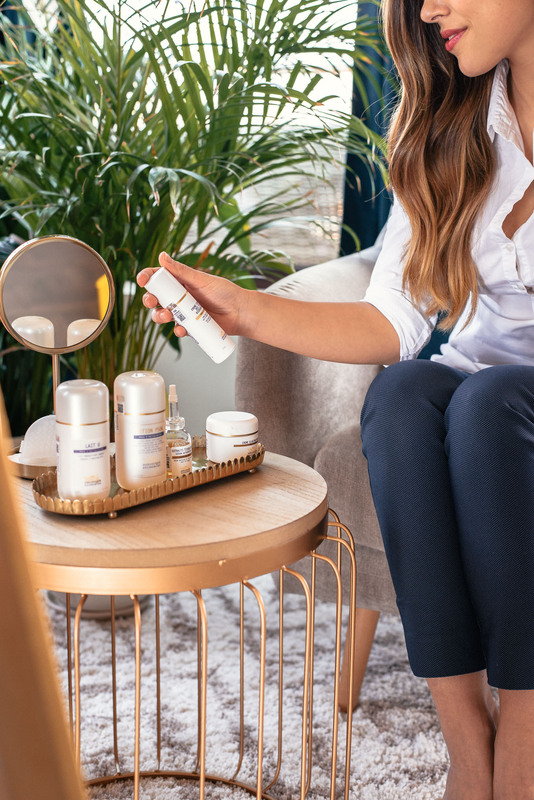 When I found myself in the Biologique Recherche‘s SPA salon a couple of weeks ago and started learning more about it, I realised – this brand has been preaching all of the aforementioned beauty trends for 40 years already. It is, in its own way, the biggest trend of 2019. After I stepped into the salon, I knew my skin tends to get very dry. Which is wrinkles’ best friend. My Biologique Recherche (BR) esthetician told me that I have specific needs in the eye contour area. It did look very dehydrated! After analyzing my skin, she did what was a custom-prescribed in-salon therapy to meet the needs of my own skin. She also did a lymphatic drainage which instantly like a magic changed my facial contour. After the therapy, I learnt a lot about BR, my skin and its particular needs. This brand is all about targeting your specific problems with very high concentration of highest quality of vitamin, mineral, botanical, marine and biological extracts. There are no artificial fragrances to preserve the integrity of the formulas and reduce the chance of reactions. The formulations are cold to preserve and respect the integrity and structure of the raw ingredients, as heat methods can destroy the antioxidant, vitamin or biologic value of ingredient. And all that lets your skin heal and solve all the problems on its own. It’s like going to a skin doctor but better! After the therapy I got prescribed products according to my own needs. However, do not consider those appropriate for yourself. BR are sold only in BR recognized salons, and diagnosis is an important part of the entire process. My personal prescription included the following products based on two stages. During this stage the epidermis is thoroughly cleansed, its pH is balanced, it is gently exfoliated and its proteo-lipidic film is restored. Impurities and dead cells are gradually brought to the surface and eliminated. Lait U – A refreshing and non-greasy cleansing milk which removes impurities and respects the functions of the epidermis. Its active ingredients are Wheat Germs extracts and Sweet Almond oil. It’s the first product I use mornings and evenings. Leaves the skin very soft with the feel that I have applied a face oil, but strangely it does not feel greasy. It has no smell. Lotion P50W – The P50 lotion is BR’s most popular product. It has been called “Jesus in a bottle” and “Best Beauty Product in the World”. Everybody swears by it! My version P50W is a gentle vitamin enriched exfoliating lotion that helps to purify, control sebum, tone, hydrate and maintain the acid pH of the epidermis. I add 5-6 drops of it on a cotton pad and gently tap (never rub!) on my face mornings and evenings as a Step 2. Interestingly, I start feeling little and gentle tweaks all over my face, but it’s because the ingredients are highly concentrated. It’s a a very normal feeling. From what I’ve read on the Internet, the only complaint is that it smells like vinegar. Though, it’s no big deal for me. 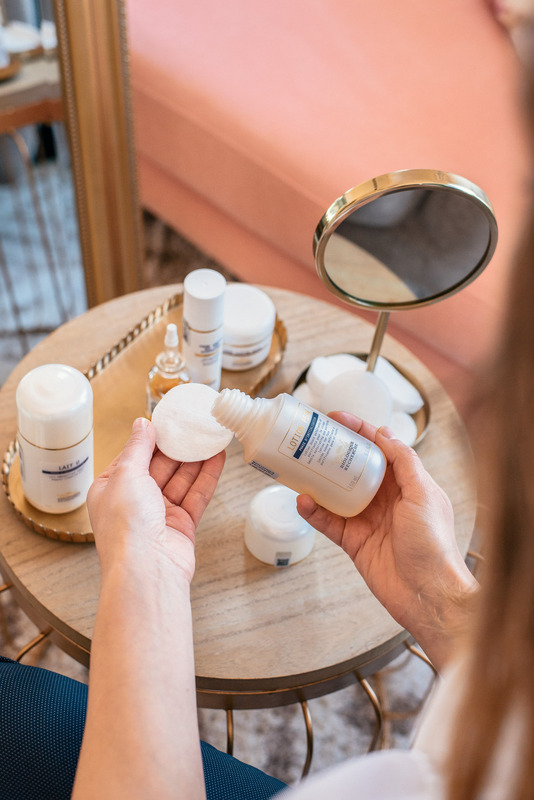 During this stage, products containing the highest concentrations of active ingredients are applied to “recondition” the epidermis and help activate both its regeneration properties and those of the skin’s deeper structures. Sérum Extraits Tissulaires – a moisturizing and revitalizing bio-serum which soothes the skin. It is recommended for all skin types and is ideal for young skin. I apply a few drops in the mornings all over my face as a Step 3. In the evenings I apply it all over my face + the eye area. Creme Contour Des Yeux Biosensible – This is a high-tolerance cream for the eye contour, which combines four actions. 1). It inhibits inflammatory reaction instantly. 2). 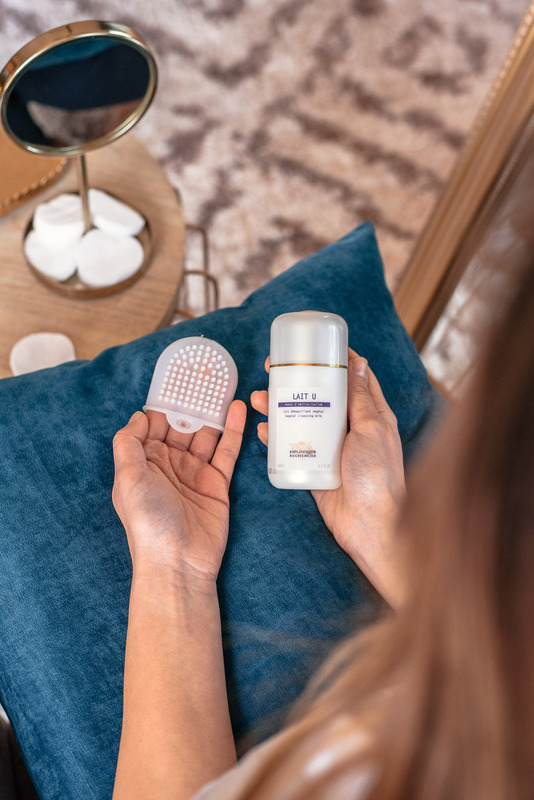 Helps smooth fine lines caused by dehydration. 3). Helps the skin protect itself against stress and external factors. 4). Improves the skin’s microcirculation, which evens out the complexion, reduces dark circles and restores the clarity and brightness of the eyes due to its rich and draining astringent ingredients. I apply it only in the mornings. Creme Elastine Marine – This cream helps prevent wrinkles, moisturizes and nourishes the epidermis. Leaves no greasy film on the skin. I apply it as my final product of the regimen with soft massaging movements. It smells like its ingredients but if I have to make a comparison, it smells like food for tortoises. I used to have two when I was I kid and it always reminds me of them. It’s been a couple of weeks since I started this Biologique Recherche skin routine. I will continue using it and will update you on my skin in at least a month’s time to share if BR is as good as they tell it is. Although, I can already feel this. Yet, only time will show best. 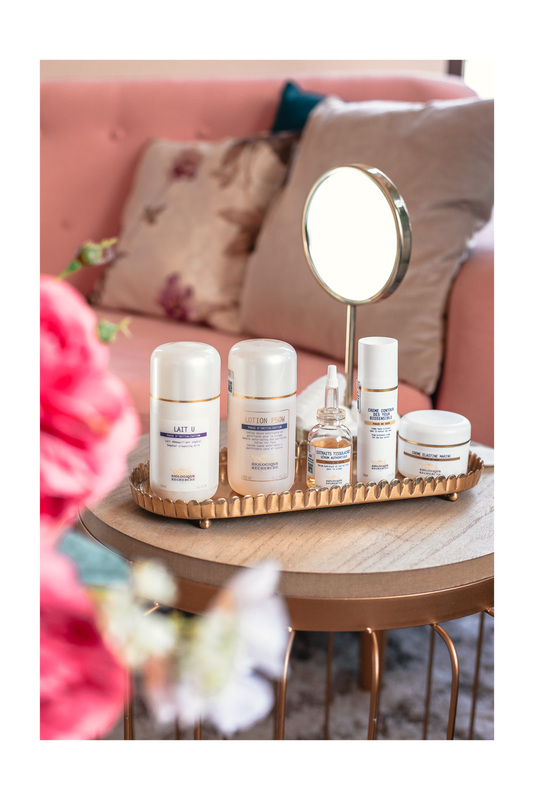 * This post features a partnership with Biologique Recherche. All of the opinions are mine and completely honest. Искам да попитам каква е цената на ексфолиращия лосион?